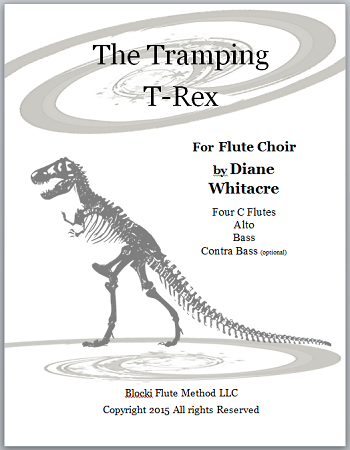 Fluting just does get more fun than this piece. Everyone in the ensemble has a interesting part and everyone does EASY beat boxing. This new piece is easy to put together and will be a great closer for your concert. I played this song as a flute quintet for solo and ensemble festival in eighth grade. It was very fun and challenging but doable. As advertised, each part is engaging and exciting, and the sound effects are simple but very cool. Beware: this is an extremely catchy song!